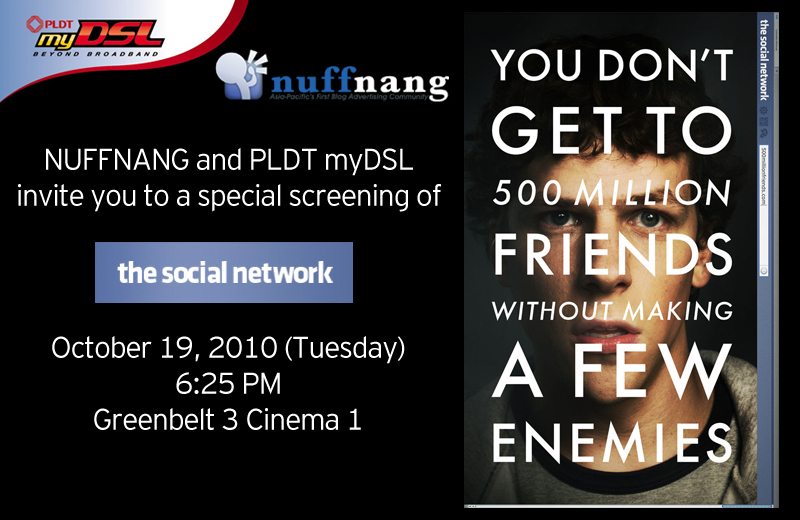 Nuffnang and PLDT myDSL Special Screening! | Melardenio Dot Com Melardenio Dot Com: Nuffnang and PLDT myDSL Special Screening! "The Social Network is to Facebook, PLDT myDSL modem+wifi is to all non-techy people that because of its plug and play capability it makes life easier for us to connect to social network." Life wasn’t been easy without Facebook. Last year, I have actually spend zero on my mobile texting and call. Why? I use Facebook Status for my wife to know where am I. During the Christmas season and new year, walls had been flooded with greetings but telecoms lost a thousands. We surely know that Facebook monopolized the social network today. 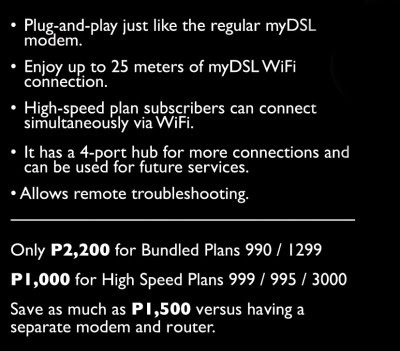 With the help of PLDT myDSL it gives more freedom and more power of your peso worth. Today Internet connections are becoming very cheap but not to the extent that their service are not good. Thanks to PLDT MyDSL for making it happen. Together we are building a better world. In a communication without gaps.